In the Northern Quebec region of Abitibi lies the Malartic gold mine, the largest open-pit gold mine in Canada. Standing at the edge of this 4km-wide hole in the earth, one can envision what it might mean to inhabit another planet. For this is an inorganic environment—a place where Earth is being literally turned inside out. We may speak of the planet in terms of care, life, and love, but in reality almost all the Earth (beneath the very thin strata of topsoil upon which the biosphere rests) is violently antipathetic to carbon-based life forms. 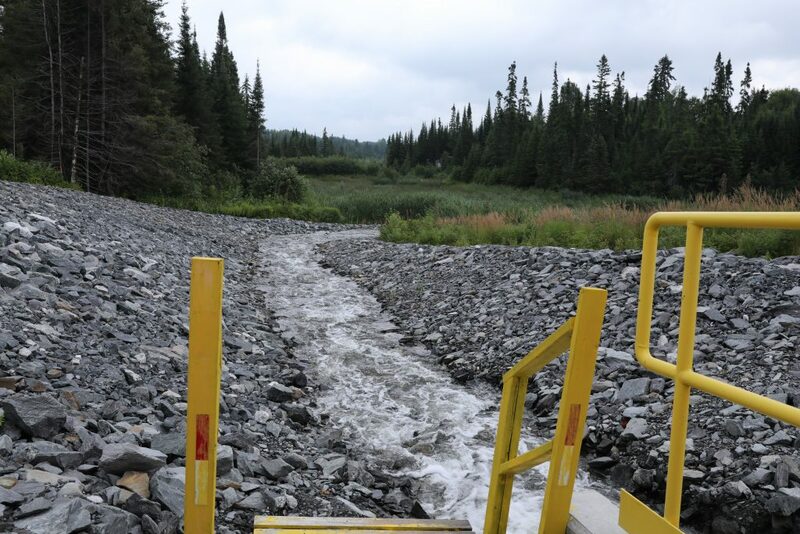 At sites like Malartic, metals and minerals meet with life-sustaining substances such as water and air to create acids and poisons destructive to the biological environment. Yet if the mine is a place where gold is brought up from ancient and deadly underworlds, it is also the inception point for a world of technical assemblages, profit, and various bets on the future. As such, mines are more than just holes in the earth. They are chokepoints of both the subsurface and the surface, and of the past and the future: a narrow aperture between below-ground matters forged millions of years prior and above-ground dynamics constitutive of present and future life. 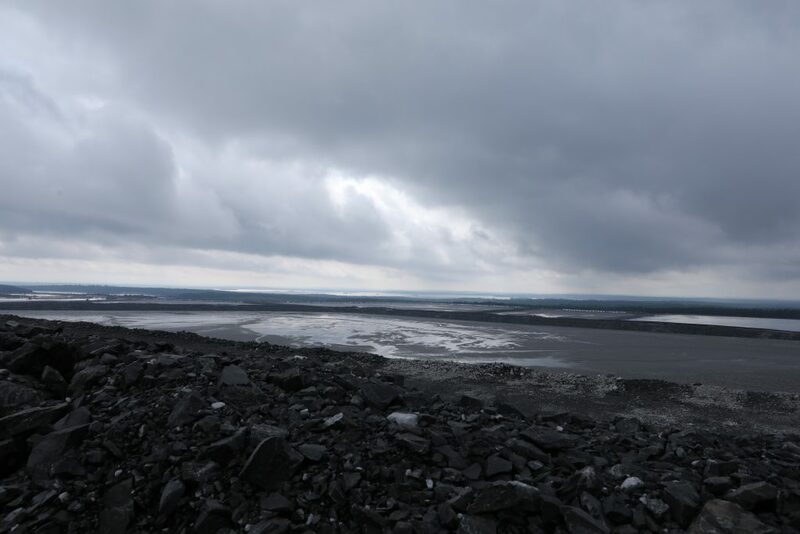 “Quebec is for mining what Switzerland is for banking … a free-trade zone,” the geo-engineer in charge of monitoring hydrology and environmental toxicity confided to me. There are many mines along the Canadian Shield, a vast expense that stretches across Canada up to the Arctic. Millions of years ago a glacier swept out the top levels of the earth, leaving minerals and metals exposed and ripe for picking. But the pickings are no longer quite so ripe. “There is no more easy mining on earth,” a geologist at the site, Dr. Mostafa Benzaazoua, informed me. All the metals and energy sources on Earth will be depleted, he predicted, by 2155, even if we account for improvements in technology. While heat used to be used in extraction, mining corporations today have turned to chemistry—for gold, to cyanide—to bind with the ore and remove it from the waste rock. But this leaves dangerous residues that must be managed carefully through toxic tailings ponds that themselves become sites of new forms of speculation. All of this must happen within the relatively short time concessions last, driving a 24/7 effort to derive more value from a site. Amid this convergence of capital, machinery, information, and materials, chemistry and logistics are formative of an alchemy—turning rocks into markets. The mine extracts 55,000 tons of rock a day. This rock is moved, tested, and then separated into ore rock and waste rock. 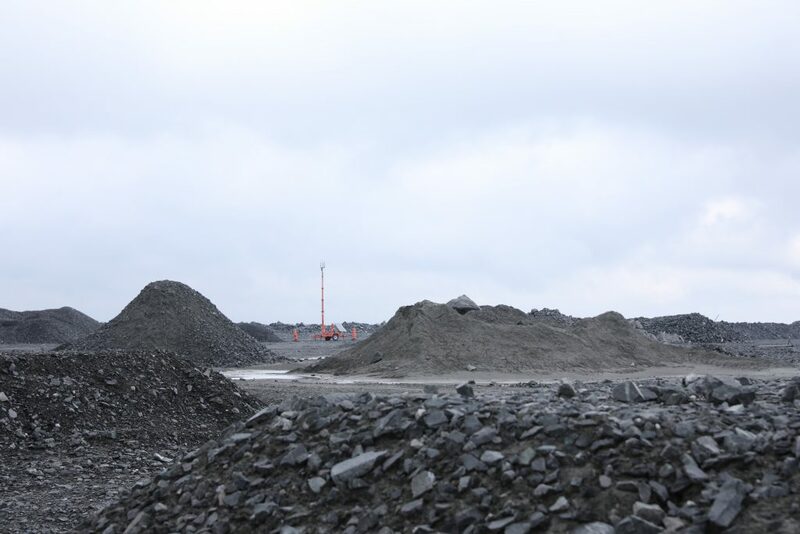 The rock with ore will go to a processing plant that will remove the gold, while the rest is immediately laid to rest in, according to mine employees, the 20km of tailing ponds that lie behind the installation. Vast machines, choreographed by Caterpillar software, lumber through the space carrying their rocks in perfect time. Each truck costs $3 million, each tire is 11 feet high and costs $42,000 to replace. The tires last eight hours of driving. The mine has a short life. It is anticipated to only last another 15 years (making its lifespan 27 years). With concessions expiring and ore running out, such time scales are paltry in comparison to the geological formations the mine has unearthed, and the vast new territory it has produced. The biosphere might be in trouble, but it seems we are hedging our bets. More than 90 percent of what is mined at Malartic and globally will be replaced underground into bank vaults. These standing reserves of unused gold will serve as a hedge bet against more volatile derivative and futures markets. This becomes a way of subverting or diverting the finitude of gold in the earth. Such mining practices mirror the logic through which gold historically has been used to hedge bets. 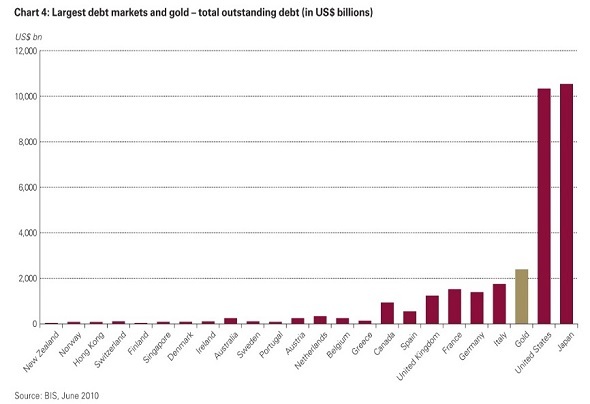 Gold markets as of 2010 were among the largest debt-hedging markets in the world. It is estimated that the derivative markets are betting on more than ten times the annual new mine supply, and by now far more then official reserves. The markets exceed the reality of production exponentially, setting prices and making bets far into the future. These Sisyphean wagers hinge on a literal connection between data mining and metal mining. 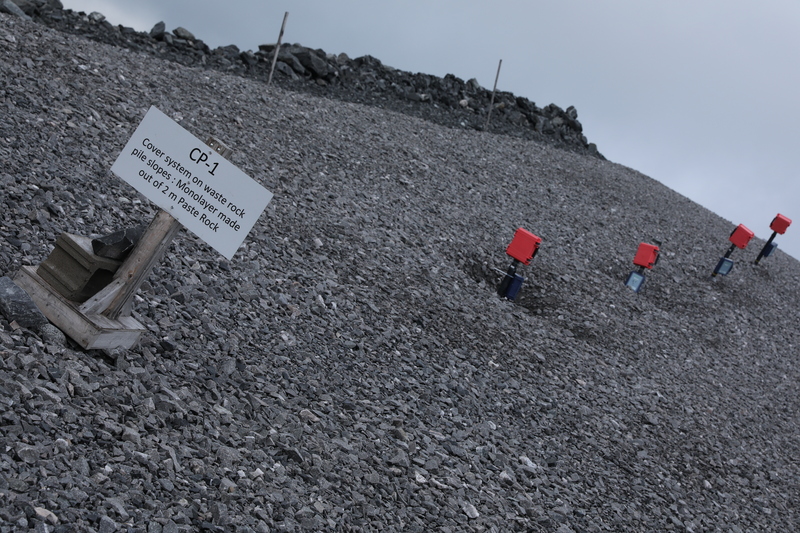 The mine is covered by a network of information-gathering sensors that monitor water, humidity, temperature, winds, atmospheric conditions, geological stability, and topology. The datafication of this space represents the effort to monitor the location of ore, to secure the mine’s structural integrity, and to guard the boreal forests, aquifers, and cities against the existential threat posed by the nearby mine. The mine’s floor is lined with coring stations that attempt to unearth those locations where gold is in abundance. Abundance in this case is 1 ppm, which is to say one ton of rock is dug for 1 gram of gold. Such low amounts of ore demand constant blasting and excavation to produce anything worth selling. The mine produces approximately 580,000 ounces of gold a year (or 16.4 metric tons) and upwards of 230,000 metric tons of rock per year. 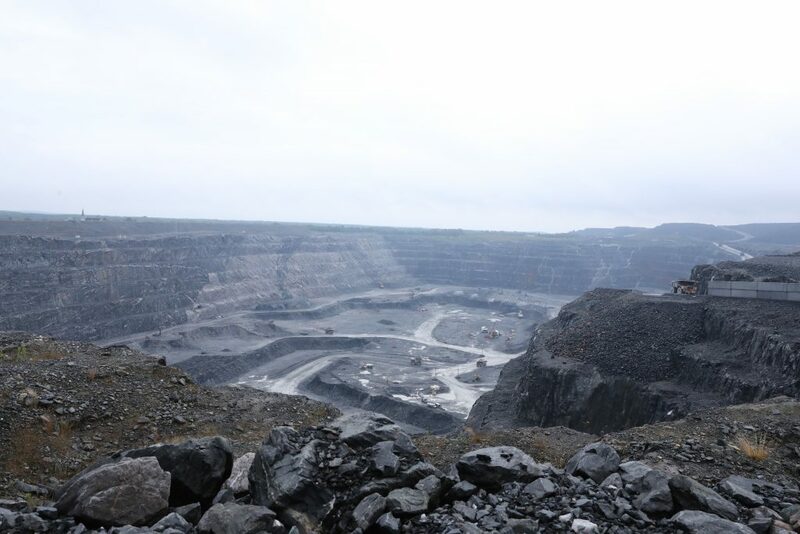 By the end of the mine’s life it may generate up to 700,000,000 tons of waste rock. All the gold that has ever been mined in the world, I was told by the mining operatives, could fill two Olympic swimming pools. This drives a constant search for new veins of ore. First, airplanes and satellites utilize electromagnetic surveys, ground-penetrating radar, and satellite imagery to provide initial information on rock formations, structures, and features that might signal untapped resource fields. On the ground, there are sensors that monitor, survey, and assess every movement and shift of the earth. So much digging and blasting demands an array of sprinklers that constantly keep the site damp in an effort to control particles and dust from contaminating the air. The Malartic mine is unusual for being located literally within a city, and therefore its immediate impact on human health is of paramount concern. The mine also boasts research stations where geo-engineers attempt, perhaps futilely, to figure out how to guard all this waste rock from water which will subsequently turn the sulfides and other minerals and metals in the rock into acid. This would be lethal to the surrounding ecosystem. Among the geo-engineers I speak with, the discourse is medical and the practices are surgical. The skin of the earth that has been peeled back is to be covered by a new molt of electronic information, evaluating and managing the membranes between the mine and its world. The mine is a contaminating entity, whose worst effects will be contained through geo-surveying, the imaginaries of mine reclamation, and the omnipresence of capital. What futures are being envisioned through extraction and derivation? Since the 1980s when Canada began requiring some efforts at mine reclamation and environmental cleanup (simultaneously, major mining corporations were benefitting from structural readjustment and neoliberalism in the Global South) the design of mines has changed. In turn, mine design must now take into account both global supply chain and markets, in real time, as well as mines’ impending death, collateral damages, and possible resurrections. To optimize value, mining companies today do everything from turning tailing ponds into new resources for construction materials to figuring out if the waste rock might yield different mineral or metal. As experts sort through the detritus in hope of turning “waste” into resource, evermore wastelands and industrial processing zones have merged. Facing limits to planetary resources and maybe even life, we have turned to ubiquitous computing, geo-sensing, and algorithmic trading. To avoid these terminal thresholds of resources and toxins, the mine must conquer the limits of space by deriving value from the future. Enter derivatives. Derivatives are financial instruments that allow a certain amount of something (mortgages, minerals, oil, gold, etc.) to be traded at some point in the future at an agreed-upon price. One also can bet on the cancellation of an order or some other event changing the future price of the underlying commodity or security. The result is that the size of the derivatives markets far overshadows the actual world’s gross domestic product, by now exceeding the world’s GDP by 20 times. These markets have grown exponentially, by 25 percent per year over the last 25 years (Martin 2014). Futures derivative markets make a double move. They bet change in value of some entity (you can even bet on the weather) between the present to some future point against another change in value of some other entity. But what makes the market interesting is that you can sell your bet before the event happens. In doing so, one “hedges” the future. Gold is the long-standing hedge bet. You can pull out when you make money irrespective of what the future might hold (Cooper 2010). Time no longer equals money but rather money derives from time=time, from bets on relations between times. 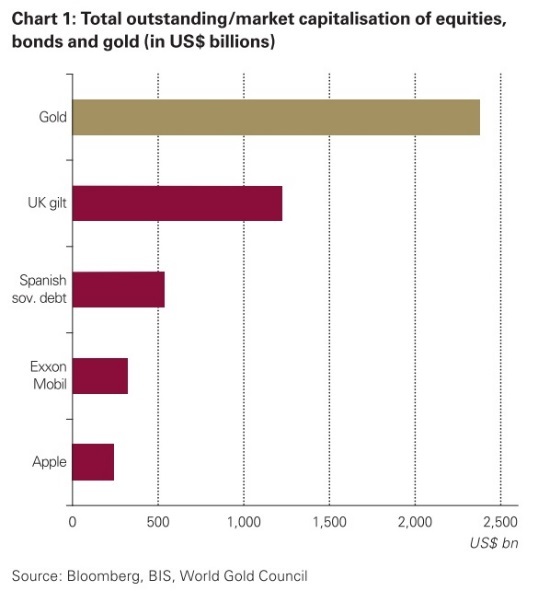 One can swap the debt, for example, on a package of mortgages or of entire countries for gold futures without the homes being sold or the nations paying or defaulting on their loans. You are betting on temporalities of two different markets, looking to bet on fluctuations in price between the two markets. The forms of time here are speculative, not predictive. One does not need to calculate the final risk of the action of investment; only manage the time of the action. Risk, which is calculable, now has become just raw uncertainty to be managed through algorithmic financial logics that mirror the big-data infrastructures of the extraction industries themselves. Such understandings of time, of course, demand that we ask: what is the relationship between derivation and extraction? This logic is based in a discourse of reclamation, optimization, and “sustainability” that now dominates mining and energy industries. 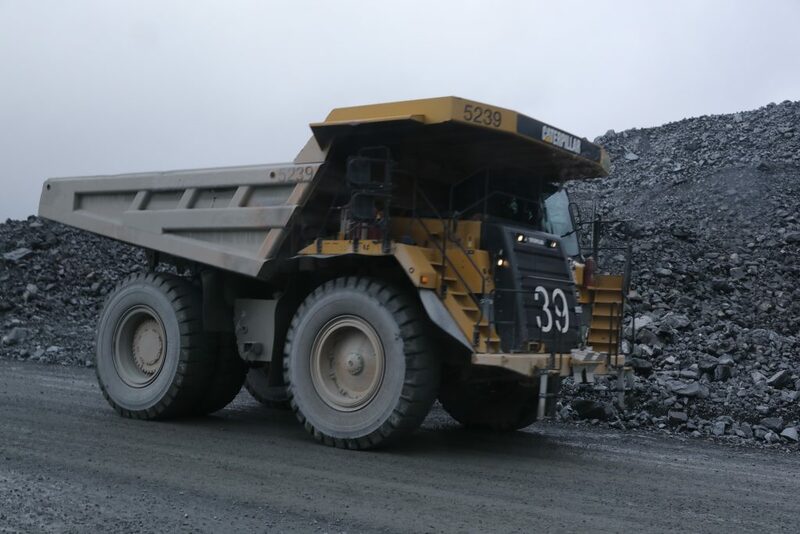 The value of the mine is being transformed constantly through changes in the mines’ functions and extractions of value from what used to be waste. We are constantly panning our destruction of the environment in search of increments of changing future values to bet on. What is true of gold is also true of most other extraction industries, especially oil markets, which had become the second largest futures market and one of the largest derivatives markets by 2002 (EIA 2002). Our planet is now a hedged bet, where finitude in life is converted to surplus information for future speculation. As future risk transforms into uncertainty through derivation, high technology—particularly “smart” and “ubiquitous” computing infrastructures—becomes the language and practice by which to imagine our future. The result is the development of forms of financial instrumentation and accounting that no longer (need to) engage with, alienate, or translate extraction from a historical, geological, or biological framework of value. This situation may not be hopeful, but it need not lead to despair. We simply must find forms that do not match the vacant speculations of our present. Environmentalists and indigenous land and human rights activists in Canada, for example, seek change by attempting to change risk valuations on pipelines and other infrastructure projects by insurance companies in order to increase the interest rates and therefore the price of the project (Pasternak 2017). Increasingly, many recognize that transforming the nature, time, and regulation of the bet is the source of a difficult—but possible—alternative future. Despite being seemingly abstract and delinked from the present, derivatives also drive human actions. People build homes, take mortgages, build pipelines, and work in mines. They subsequently suffer when these markets move. By tying together disparate actions and objects into a single assembled bundle of reallocated risks to trade, derivatives make us more indebted both to each other and to the planet itself, which is often the literal matter of such exchanges (Martin 2014). The political and ethical question thus becomes how we might activate this increased indebtedness in new ways, ones that are less amenable to the strict market logics of neoliberal—perhaps now neoextractionary—economics. All futures are bets. Our task now is to open those risk assessments and extractionary hedge bets to the uncertainty that faces all life on earth. I partook of this experience, as part of a research studio course I organized this past August through Concordia University in Montréal with Pierre-Louis Patoin from Sorbonne Nouvel 3. This material is taken from visits to Malartic from August 2-5, 2017. Dr. Mostafa Benzaazoua, from the University of Quebec at Abitibi in the Research Institute in Mining and Environment, a mine reclamation expert was our guide and collaborator. I am grateful to his assistance and that of his colleagues in doing this research. On August 4 we were given a tour by the mine staff, whose names are being withheld as a matter of privacy. The difficulty in pricing metals (also oil) as a result of derivatives markets has even led to mines owned by AgnicoEagle to advertise that they do not sell futures. While the mine may “guarantee” the price of its gold, however, the owners of the gold clearly do not, as evidenced by the size of gold derivative and futures markets. Cooper, Melinda. 2010. “Turbulent Worlds: Financial Markets and Environmental Crisis.” Theory, Culture & Society, 27(2-3): 167-190. Energy Information Administration. 2002. “Derivatives and Risk Management in the Petroleum, Natural Gas, and Electricity Industries” U.S. Department of Energy. Available at link. Martin, Randy. 2014. “What Difference do Derivatives Make? From the Technical to the Political Conjuncture,” Culture Unbound, 6: 189-210. Pasternak, Shiri. “Infrastructure and Grounded Authority.” Unpublished talk, Concordia University, October 11, 2017.